Whether you are yet to get the windsurfing bug, wondering how to get over a plateau or want to gain your windsurfing independence, there’s a training course and centre to get you up to speed, says windsurfing instructor Sam Ross as he explains to us the various RYA windsurf coaching options available. Originally published within the March ’17 edition. “ To succeed in any sport, practice makes perfect, but there’s nothing wrong with getting a leg-up here and there. That’s where professional training comes in. Perhaps you want to perfect your planing technique or maybe you would like to know how to gybe? Or perhaps windsurfing is just an idea germinating in the back of your mind? Either way, some expert training will make it a breeze, giving you the confidence to progress on your own. 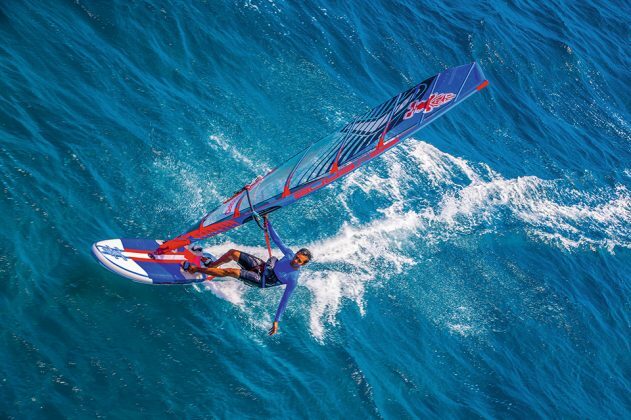 Here are some of the options on offer from the RYA’s leading windsurfing training programme, widely available in the UK and abroad. If you’re a first timer you only need to be willing and have a small amount of time available. The RYA Start Windsurfing course introduces you to the sport’s basics and requires no prior experience or equipment. 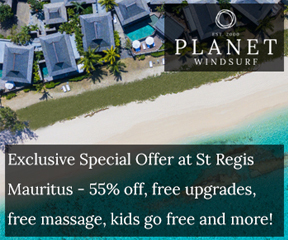 In just a few hours you could be up and windsurfing and you’ll be a confident and competent windsurfer in lighter breezes in a couple of days. If you’re time poor, then many training centres can run this in short sessions over a few weeks. One-to-one sessions will get you on the right footing faster. This course will enable you to sail where you want, set up your kit and launch and land safely. It will also provide a good understanding of where to go next. For those that have been through the RYA Start Windsurfing course, or have the basics of windsurfing, then the Intermediate course would be next. The RYA Intermediate course introduces skills such as improved stance and harness technique. It looks at fast tacking in stronger winds and getting the board going. The RYA Intermediate planing certificate then looks at building on these skills in even stronger winds and adding footstraps to make the most out of a planing stance and be fully blasting across the water. The course also helps establish further independence by working out what to do if something goes wrong. As with the RYA Start Windsurfing course, the RYA Intermediate course is accessible via a number of different routes. You can sign up to a course spread over a few days or a weekend, or you can book in lots of short coaching sessions stretched over a longer period of time. This will give you the time to develop skills in a wider variety of conditions. Beach starts and Non Planing Carve Gybes currently sit as additional clinics alongside the Intermediate scheme. So if it’s one of these specific skills you are looking to master, they can again be accessed through specific group sessions or one on one sessions at any RYA Intermediate Windsurfing centre. From a kit point of view, setup is key at this level. You’ll want to move into boards without daggerboards, but in so doing making sure that footstrap size, position and setup is best, along with fin size and UJ placement. Tuning harness lines, boom height and rig will help make the best of the conditions. As with all RYA centres, everything you need can be provided, although at this stage it would be well worth investing in your own harness and wetsuit. 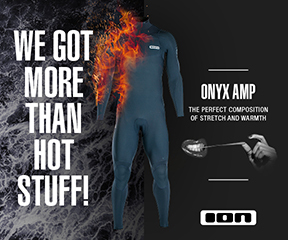 If you go for a thicker wetsuit around 5/3 mm then this can see you making the most of conditions throughout the year. As a plus for RYA members, discounted suits and accessories are available from some top brands via the RYA’s member reward partners such as Wetsuit Centre. Visit the membership benefits pages at www.rya.org.uk for details. If you’ve mastered blasting in both straps and want to push into different water states on smaller boards in mixed conditions then the RYA Advanced Course is the next step. As with the intermediate course this can be run over short periods but most likely several sessions over a longer period of time to help develop skills. Refining stance and blasting technique to suit a wider variety of conditions and kit as well as looking at tacking at high speed in stronger winds. The clinics at this level look at two of the cornerstone moves in advanced windsurfing – the Carve Gybe and the Waterstart. For those that have mastered all the advanced skills, advanced plus clinics cover jumping and advanced carving skills such as duck gybes, laydown gybes and other gybing variations. These will add some kudos to advanced sailors’ repertoires. What kit do I need to continue? PHOTO Starboard designer Tiesda You blasts off the coast of Maui.